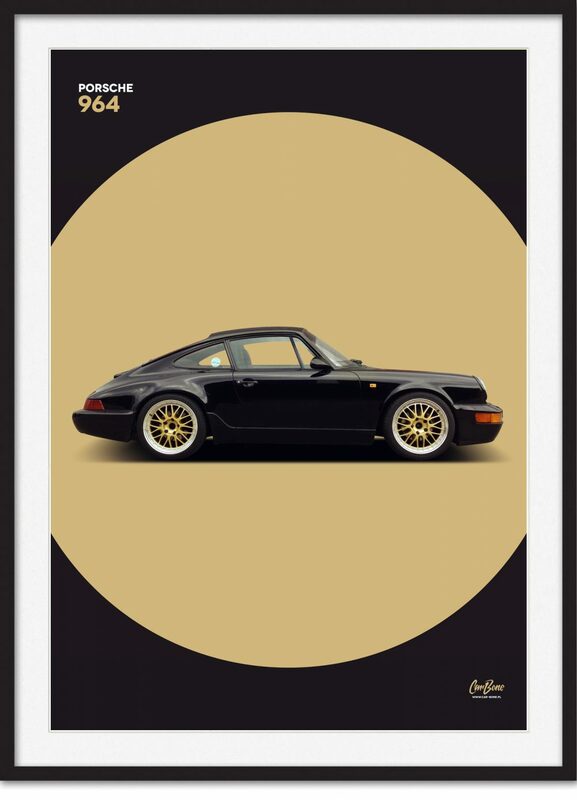 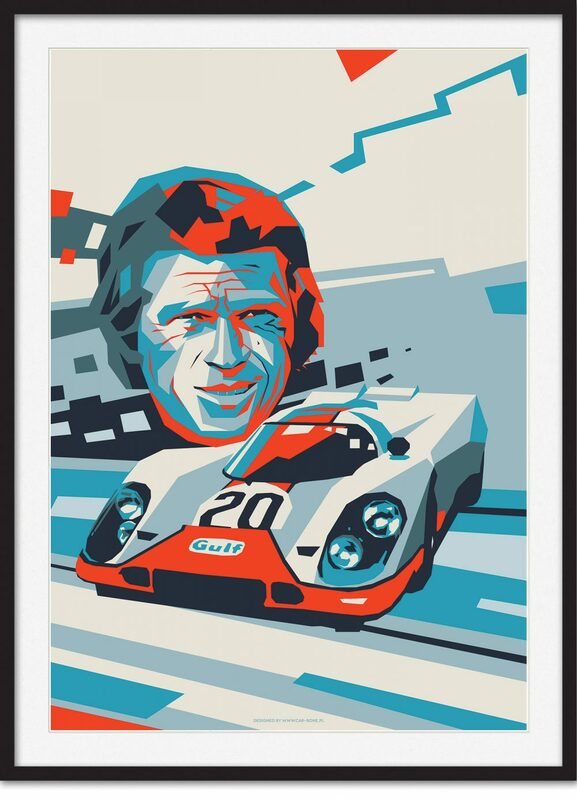 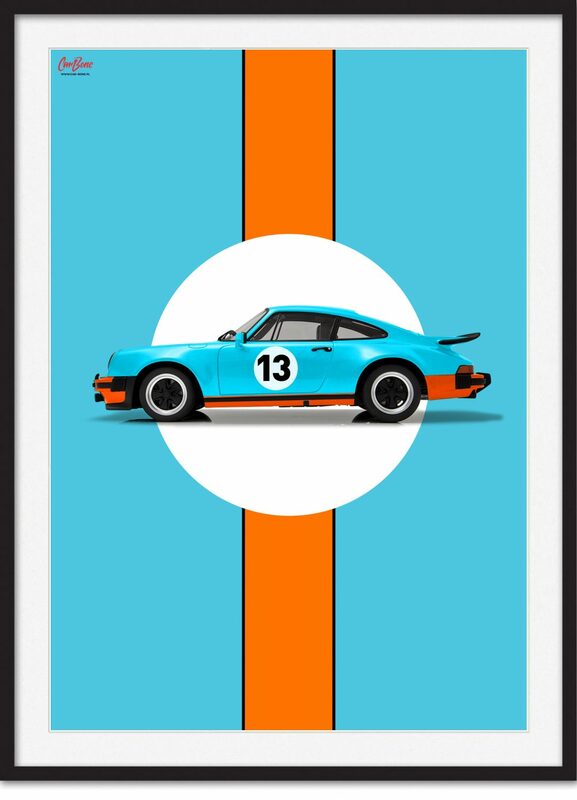 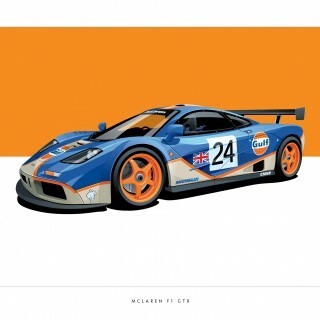 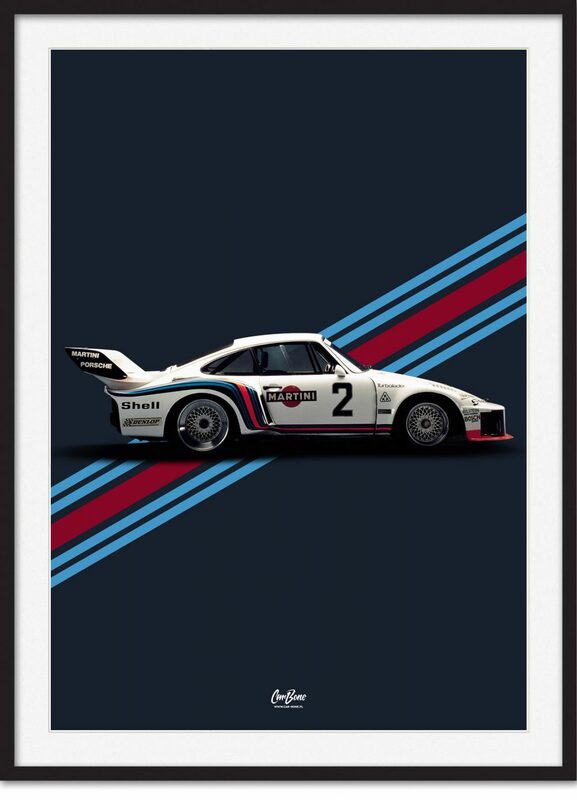 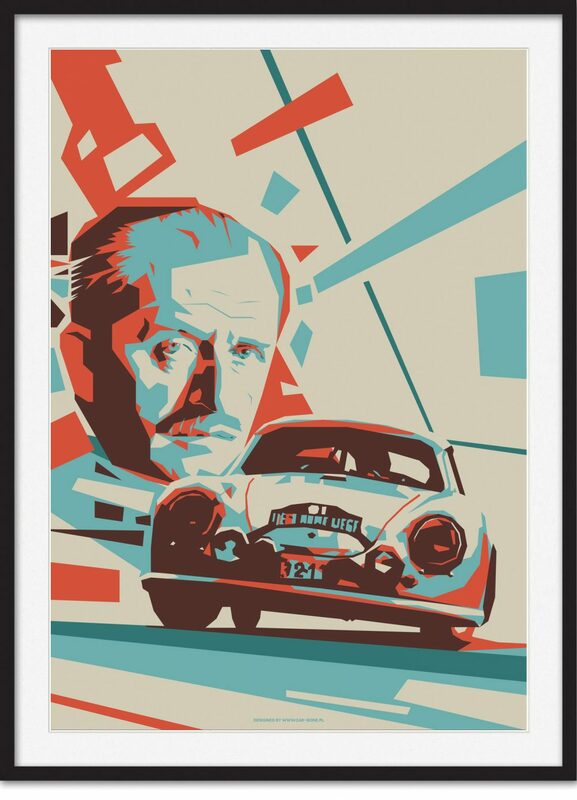 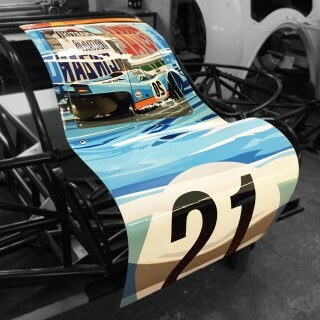 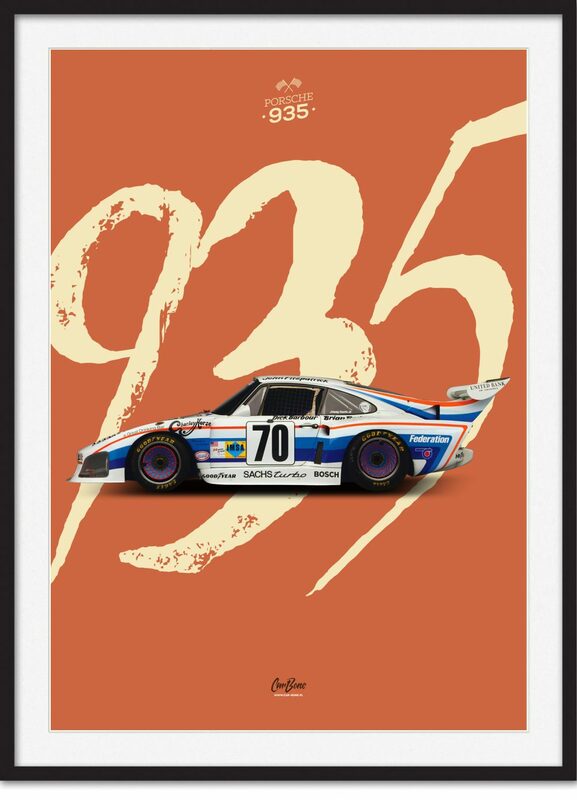 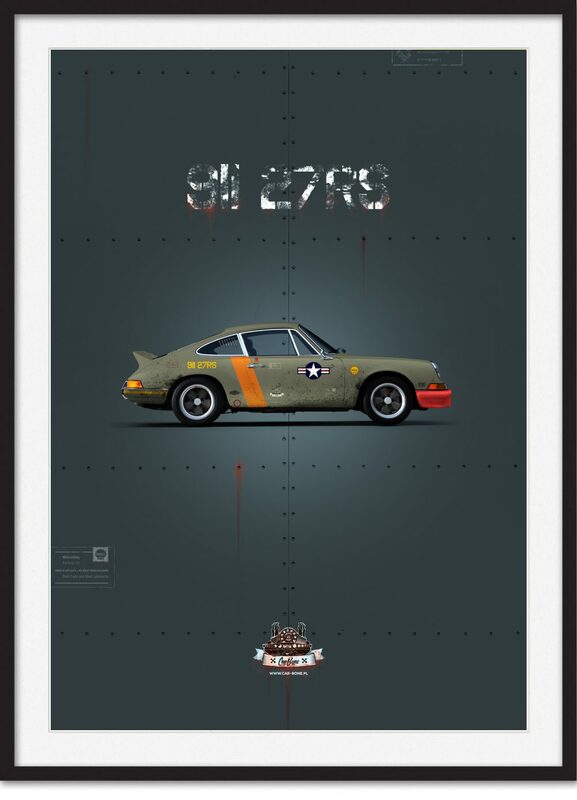 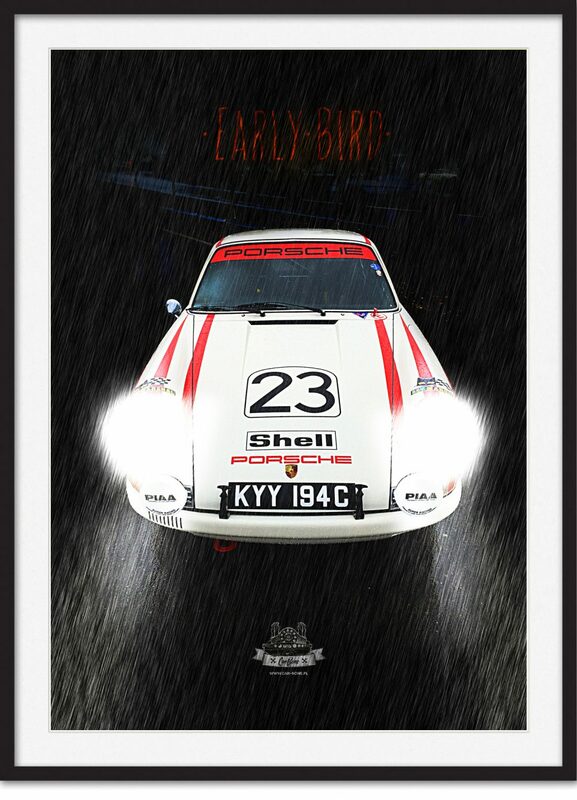 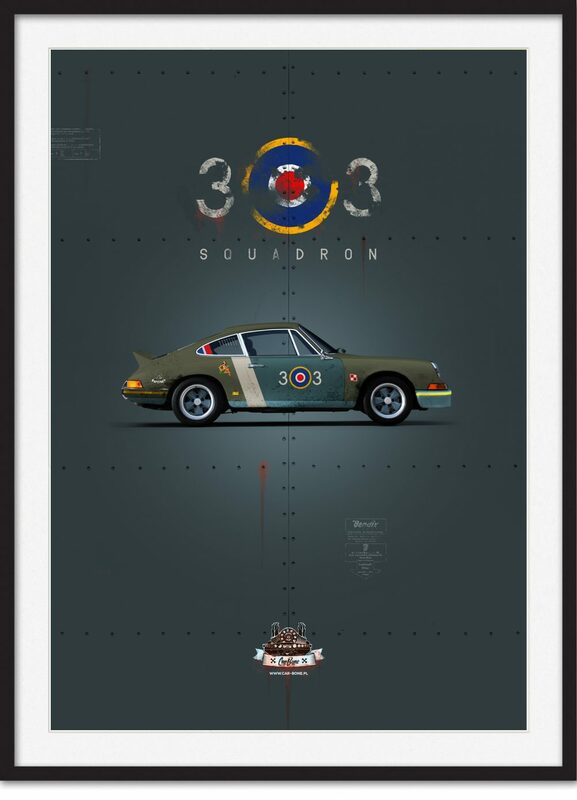 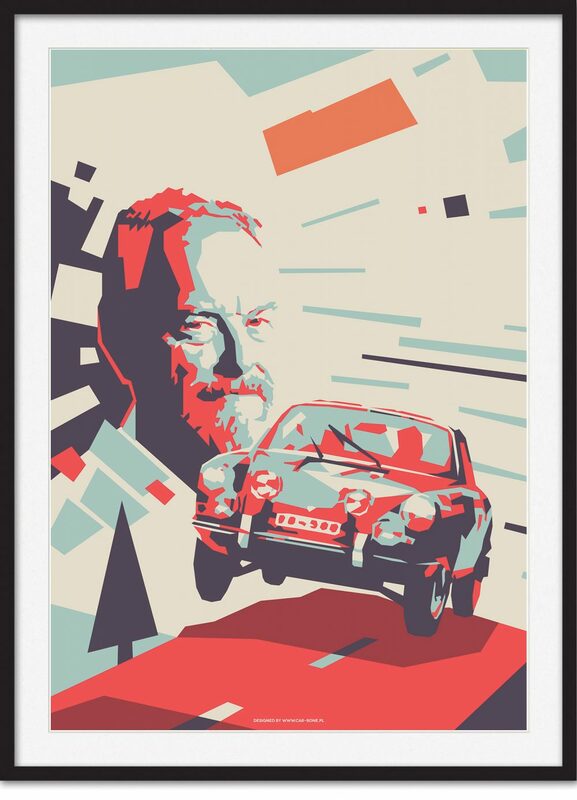 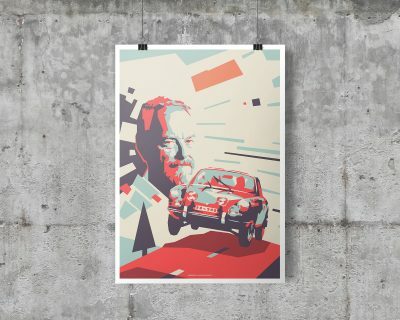 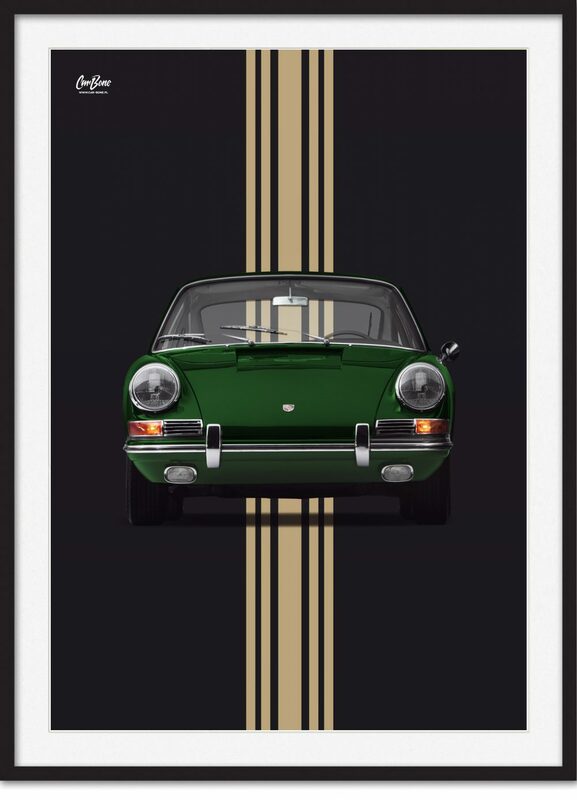 Our full selection of Car Bone posters can be found here, in the Shop. 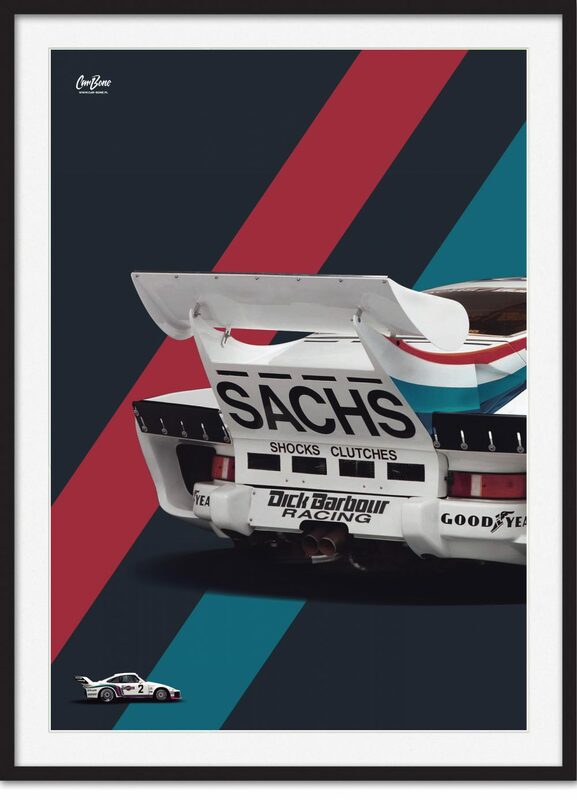 You’ve probably seen quite a few Porsche crests in your lifetime in show venues and on race tracks alike (not to mention on this site! 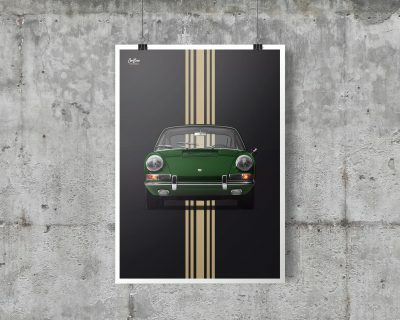 ), but like anything that’s been sufficiently squeezed for inspiration on the artistic side of our automotive fascination, there are still ways to avoid treading the much-worn paths of banal and barely derivative works. 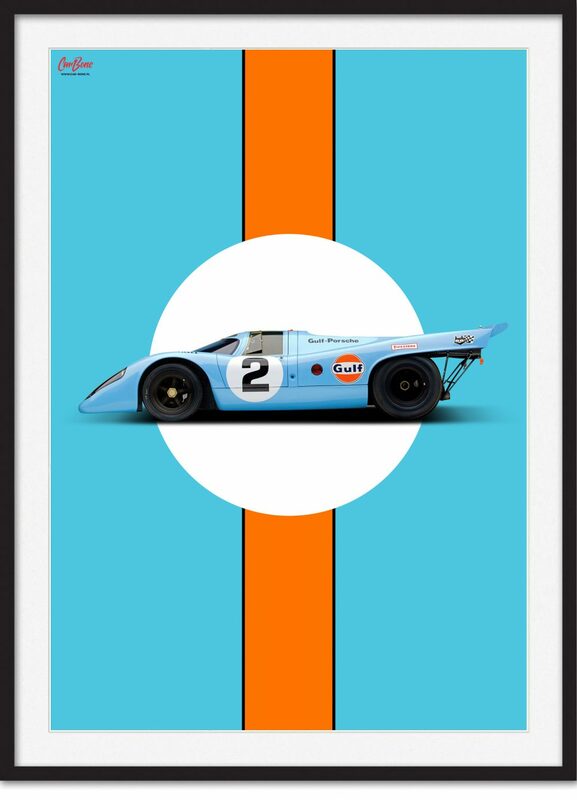 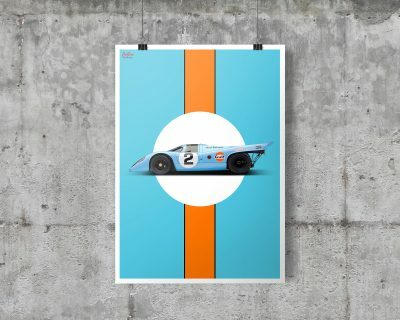 There will always be those who see a Gulf liveried 917 and roll their eyes at “yet another,” but that’s probably inevitable with a car of such status, and what’s also a given is that artists will keep turning to that car for years to come, and so we should look for the good examples. 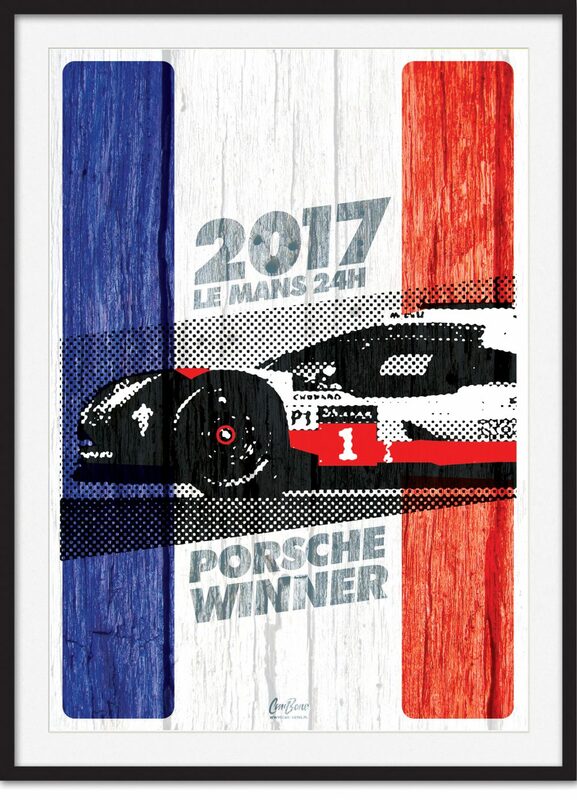 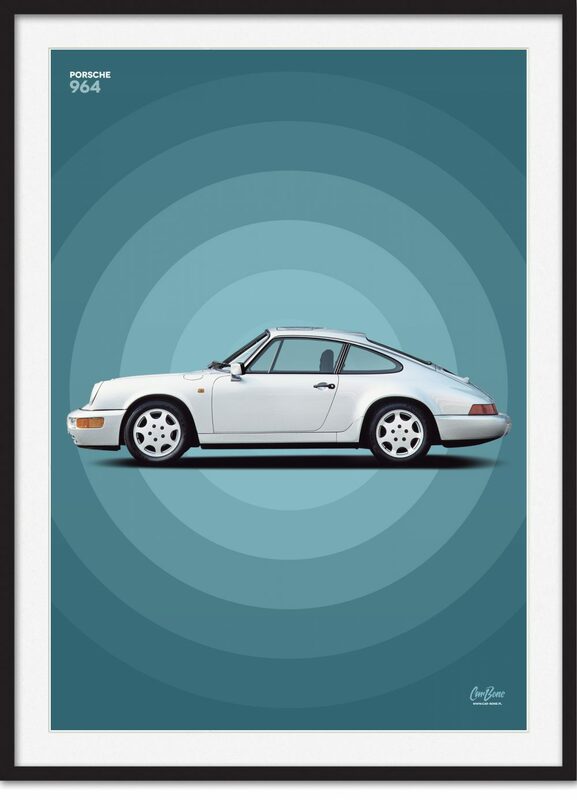 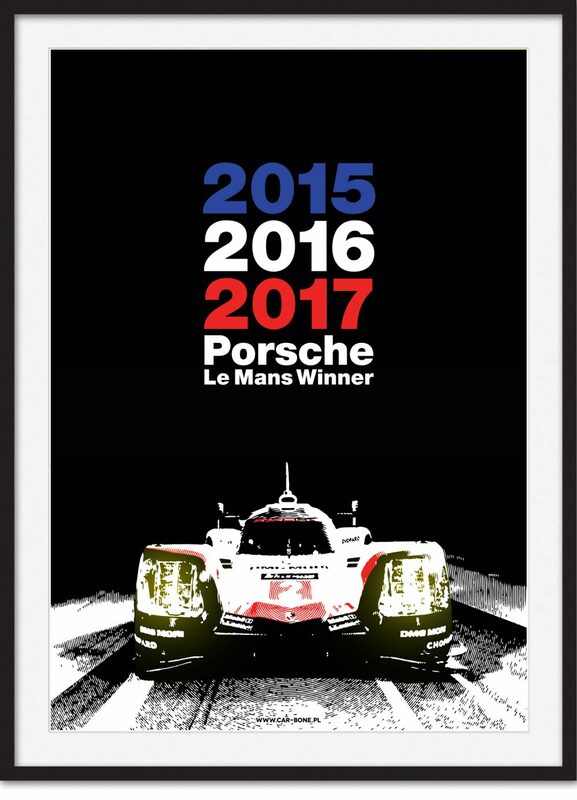 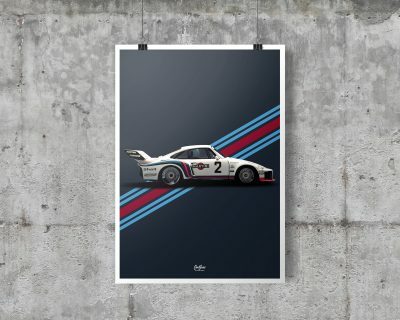 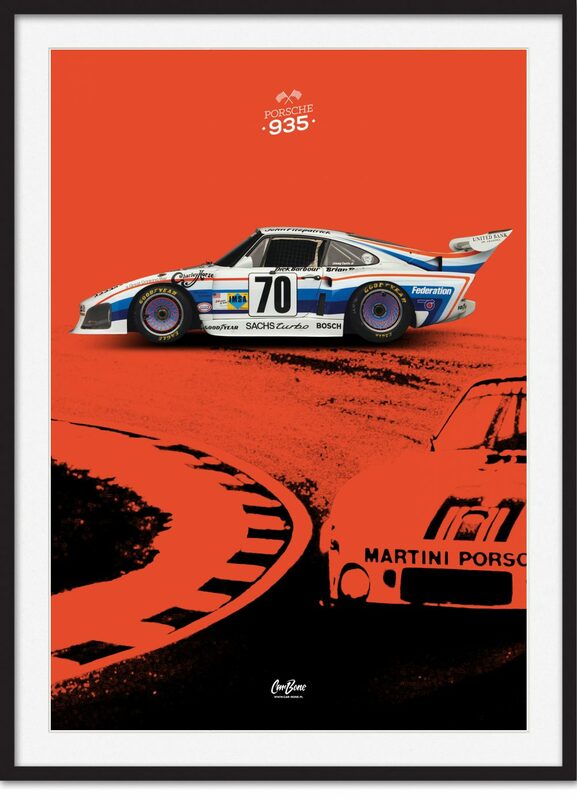 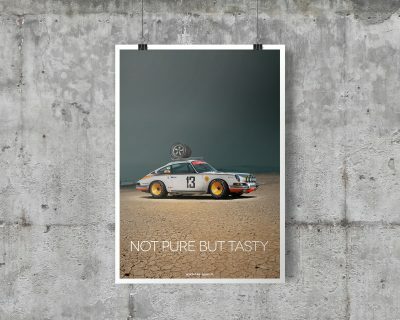 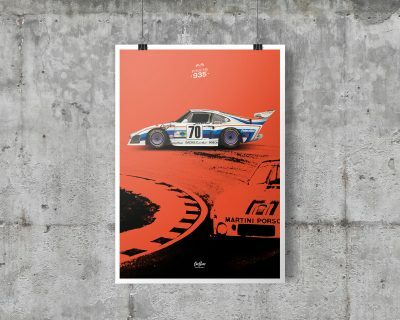 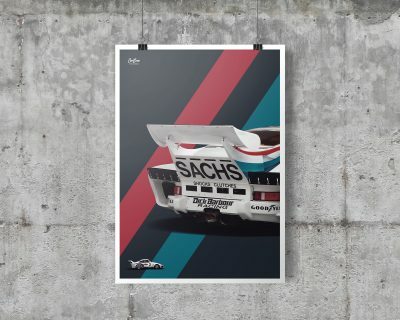 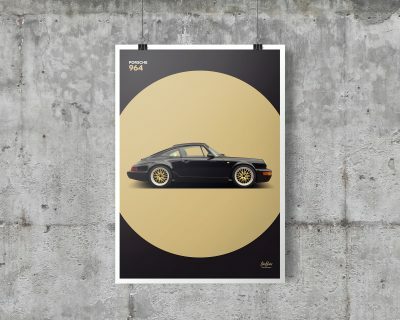 Another habitual reaction to Porsche is to talk about the beaten-to-death subject of their past decade’s rise in value, but thankfully these posters aren’t subject to the same forces that have doubled 964 prices in recent years! 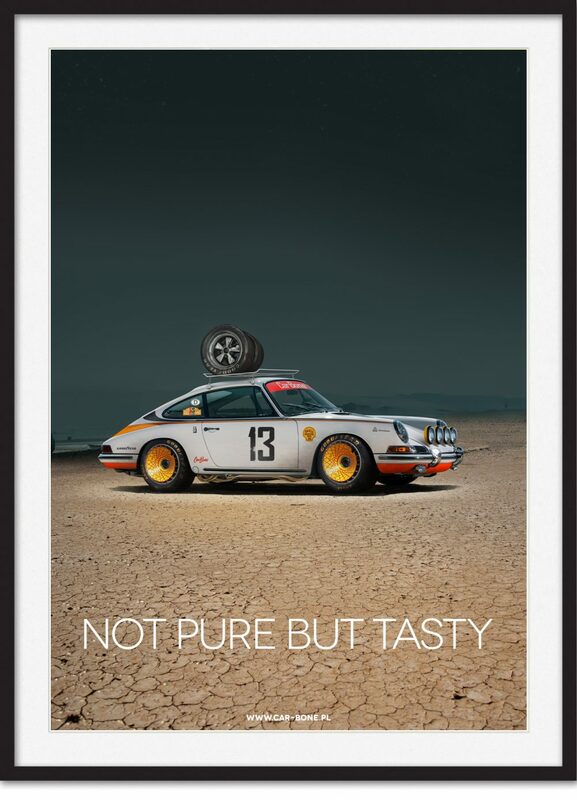 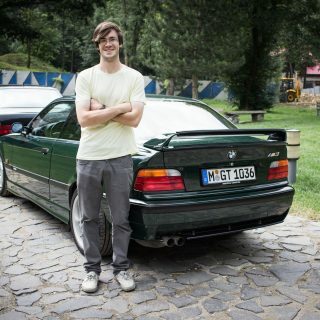 Perhaps no marque has been more appropriated for one thing or another as Porsche, and even with the web of sub-cultures and niches that constitute its greater collective following, projects involving any of the cars tend to fall into categories we all know too well already. 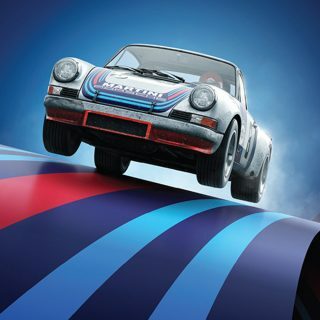 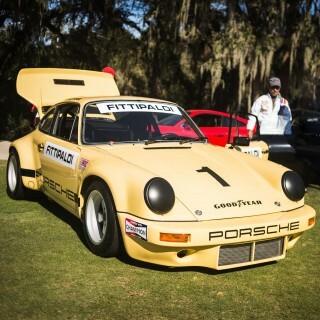 However, Car Bone’s series of replica and imagined Porsches manages to hit the classics—Gulf 917 and Martini 935 for instance—deliver some inspired originals—rally-spec 911 with turbofans, anyone?—and do it all with their own distinctive style. 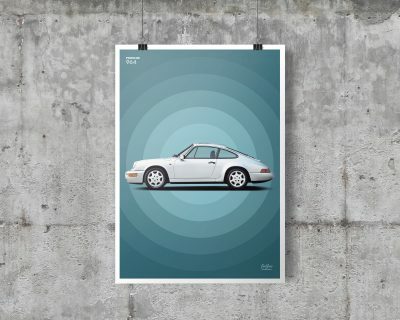 The cars have a photorealistic quality to them, yet still harmonize with the minimalist graphics that make up the simple but striking backgrounds; simple shapes and bright color palettes contrast with the detailed depictions of the vehicles in the foreground to create posters with a playful vibe that doesn’t come at the expense of over-simplifying the cars within. 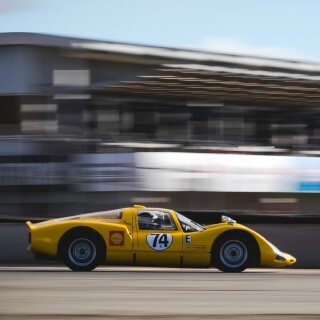 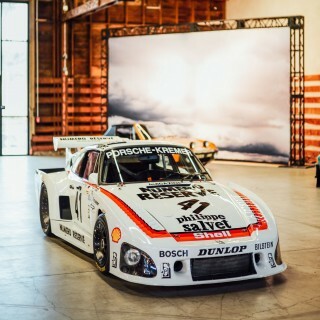 The subjects range throughout the decorated history of the company’s production and racing cars, from Ferdinand Porsche and his grandson “Butzi” overseeing the early endeavors of the 356 and 911, to the paragons of ‘70s motorsport named 917 and 935, and all the way up to the latest victory at Le Mans, with a hefty spread of early 911s thrown in too of course.